This article is 2600 days old. Its time for CJAM’s annual Jammy Awards. 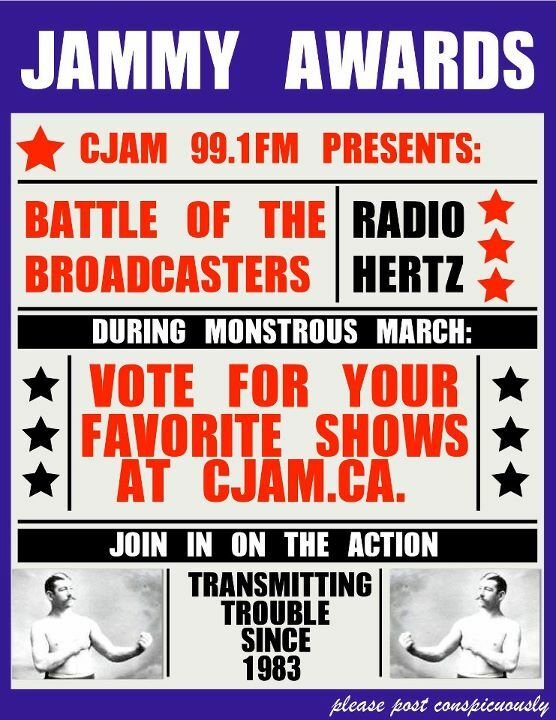 Nominations have been listed on the CJAM website and the voting has begun. You can vote for best new show, best special interest show, best spoken word program, best station personality and more. The voting will continue throughout March and the award ceremony will be in early April. The Jammy Awards are a celebration of the stations dedicated volunteer show hosts.